In the last few years in Ireland, amazing work has been done to increase awareness, due in no small part to people like AsIAm founder Adam Harris, and comedian and Illustrator Aoife Dooley. Did you know that Autism is diagnosed four times more often in males than females? This is not because us girls are less likely to have it, but that it is, for many reasons, often misdiagnosed in females. 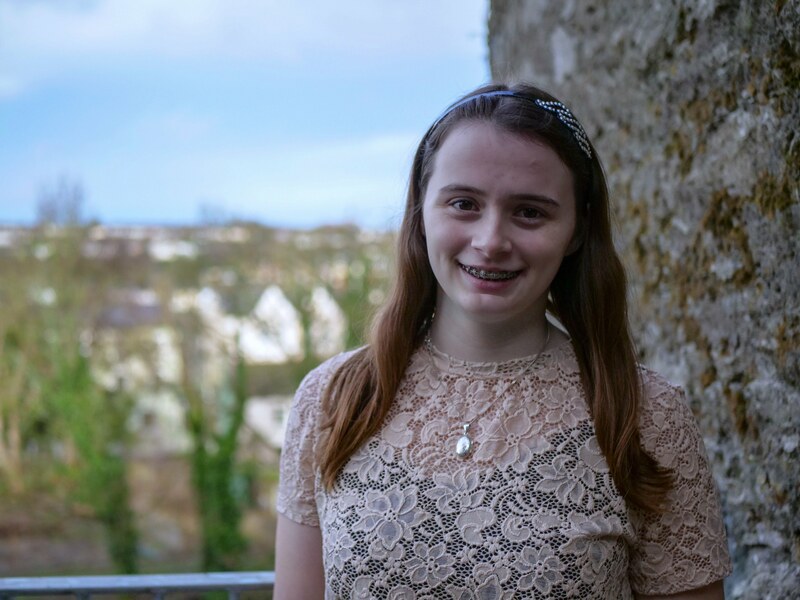 Our ambassador, Ciara Beth, describes what its like for her to live with autism beautifully. Currently studying in UCC, Ciara-Beth has created an app to help those for whom eye contact is a struggle. This app has been a labour of love, and Ciara-Beth has worked tirelessly so that she can release her app today. Hey, CB, when were you diagnosed with Autism? What were the main indicators? I was diagnosed with High-Functioning Autism when I was 14 years old, but I had always known I was different. Autism holds different meanings for different people, but for me it means I take a very literal interpretation of language. So sayings like “the cat’s out of the bag” or “it’s raining cats and dogs” can be quite confusing for me. I need structure and routine and concrete plans in a way that’s comparable to how I need oxygen to breathe. Without these things I become overwhelmed and anxious, and it’s just generally no fun. My sensory system is hypersensitive, so loud noises, strong smells or certain textures can cause issues for me. What are the main challenges you experienced? Because of my Autism, the world can be a little bit trickier to navigate sometimes. The world can be a scary place, even if you don’t have Autism! I was bullied when I was younger, because I was obviously different. I struggled to make friends, and struggled with the social aspects of life in general (and still do sometimes). You’ll rarely see me in public without my backpack being nearby, because I find the weight of it soothing, or without earbuds within arms-reach for when the world gets a bit too loud. I also used to find making eye-contact difficult. It felt unnatural and uncomfortable, almost like the back of my eyes were burning. I still struggle with that sometimes too. Which is why it alarmed me to find out that only 17% of adults who have Autism are in full time employment, while 67% of employers say failure to make eye contact is a mistake in an interview setting. Many people with Autism struggle to make eye contact, which is what inspired me to build an app. Tell us about the app? What does it do? MiContact is a simple matching game. A person’s face is presented on screen, and over the person’s eyes there are shapes. The shapes match one of four buttons across the bottom of the screen. I thought that if we focused on the shapes inside the eye, we might be subconsciously de-sensitised to looking at a person’s face or eyes. I got a friend to help me build the first 6 levels, and then I went on to learn to code and build the following 54 levels. I don’t know what will come next for me, but I want to continue building apps that are based on personal experiences, and that will help people. I want to continue doing public speaking, and trying to make a difference in the world. Finally, lets celebrate some of the women and girls who are part of the ASD community….